Valentine’s Day is a great day to tell someone that they are special. There are lots of ways to make someone feel special, you can: tell them they are special, do them a favor, or make them something. 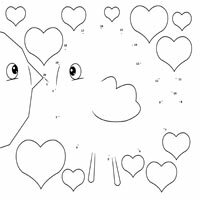 Print out this sweet dot-to-dot activity and complete it for some one you know.